Speaking about Taramani, Vasanth says the present generation can definitely relate to the film. They say that a phone call can change your life. At least in Vasanth Ravi’s case, this is true! The MBBS-turned-actor tells us how he ended up doing the male lead in Ram’s Taramani. “When I came to Chennai from Manchester, I met Ram through one of our mutual friends. He knows that I have always wanted to act. Though I hold a medical degree from Ramachandra University, films have always interested me more. So, I enrolled myself in Anupam Kher’s school ‘The Actor Prepares’. It gave me immense experience and made me believe in myself,” he says. Speaking about Taramani, Vasanth says the present generation can definitely relate to the film. “The story revolves around a story based in the IT corridor. Ram took inputs from true stories, especially ones about love failure and tiffs between partners before he wrote the script. Andrea plays the heroine and Anjali plays a special role,” he adds. 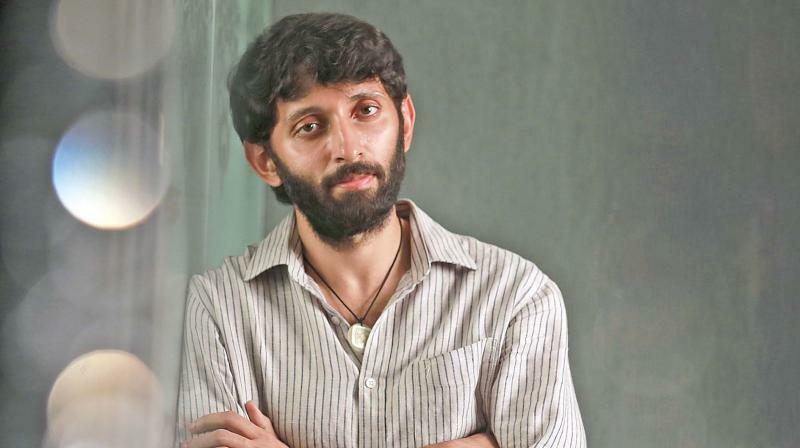 Vasanth says he’s open to any challenging script, which showcases his skills as an actor. “The length of the role, the director, the genre, nothing counts for me. All that matters is a good film. I look up to Vijay Sethupathi a lot. He’s down to earth and can perform any role effortlessly,” he smiles. And what’s next? “I have been listening to scripts, but haven’t finalised anything. I want to do different kinds of films. I am cool with doing negative roles, as well. And, as of now, I am waiting for Taramani’s release, which is like a litmus test,” he concludes with a sigh.